I've always been fond of jigsaw puzzles. What better way to spend a casual afternoon, when the snow is deep enough to make travel unwise and it's too cold to venture outside. I'm thinking about puzzles today since I just got one as a birthday present and winter is upon us. And, I'm thinking about jigsaw puzzles because a relative just resigned her job without having any idea what she might do next. I'm thinking about sending her one. You may say, "what's the relationship between joblessness and puzzles?" Let me tell you. I've done lots of puzzles; so many that I've discovered a secret or two about them. There have been times when stressful life circumstances or major life decisions coincided with working on a jigsaw puzzle. What I discovered was that putting together pieces of a puzzle helped me put together pieces of my life. The process was the same. Only the material was different. For instance, I always begin a puzzle by turning over all the pieces and making sure they are separate without any overlap. You should be able to see the shape and color of each piece individually. As I'm doing this, I put all the outside pieces with the straight edges together so I can easily begin constructing the outer edge, the frame for what will follow. For me, this process also applies to life. I want to make sure I'm aware of all my pieces. I don't want any pieces to my puzzle hidden under the rug or dropped under the table. Let's have them all out in the open where they can be part of the larger picture; and then I want to construct the framework of the big picture. 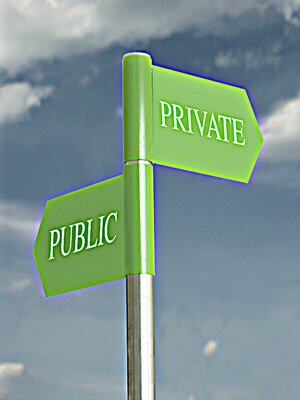 That will enable me to see the working boundaries for making the decision or facing the crisis. A second secret is in constructing the inside of the jigsaw puzzle. I focus on colors. This is important. Looking for similarity in color gives you a broader field of choices than looking for a particular shape. You can look forever for a particular shape but the colors can come together quickly. It's similar for decisions in life. We sometimes want to get to the smallest detail too quickly. In our rush to solve the puzzle we grab at the first reasonable looking piece we see, only to realize later that it doesn't quite fit. Whereas if we look for all those pieces that make us blue, or red, or green, or like a rainbow, we can group them and place them where they belong in our larger framework. Eventually, we get to the perfect fit. Then there's one more secret. I hesitate to compare doing a jigsaw puzzle to Gandhi's spinning, although that was my initial thought. Both are meditative. Both have an internal and external dynamic. Spinning for Gandhi had both personal and political dimensions. I'm not sure about the political impact of doing a jigsaw puzzle and that's why I hesitated to compare them. 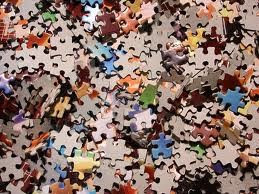 Still, the more I consider modern cultures of workaholism and consumerism, where people are constantly moving and thoroughly distracted by demands for productivity, by busyness and noise, quietly doing a jigsaw puzzle could be an act of political rebellion, and freedom. It could be a nonviolent way of saying "no" to the suffocating claims of the culture and resolving some life issues in the process. 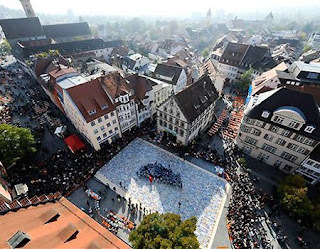 In Ravensberg Germany, in September of 2008, 15,000 enthusiasts constructed the largest jigsaw puzzle ever, with more than one million pieces. Made up of 4,000 smaller 252 piece puzzles, it covers 6,500 square feet. This is an aerial view. A real eye-opener to nonviolent resolution came to me while attending a panel discussion about tolerance. At a panel discussion called “Ground Zero…Common Ground?” the controversy of whether Muslims should build a Mosque and Islamic community center two blocks away from the terrorist attacks of 9/11 was discussed. The speakers were a sprinkling of both supporters and opponents of this project which is called Park51. Opponents say that it would be disrespectful to build a Mosque where the 9/11 victims had been attacked and that it is also an insult to the 9/11 victims' families. 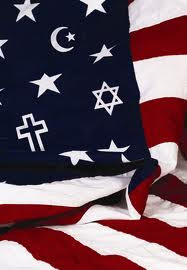 Personally, America is the land of the free and citizens can worship wherever they please no matter what faith or race. I feel that even if the Mosque and community center goes up, legally Muslims have every right to be there. Protesting against the Mosque will just be religious discrimination, which doesn’t change the fact that it’s been built. However, I feel that it is obviously a sensitive subject to many Americans that have suffered loss in the tragic attack and building so close to the Ground Zero location is asking for these Americans to demonstrate religious tolerance. They, attendees of the Mosque, will probably be subject to relentless hate crimes by prejudiced people no matter what anyone tries to do to stop it. The conclusion I drew from this experience is that dogmatic Americans are wrong to deliberately and consistently generalize the destructive tactics of Osama Bin Laden and Al Qaeda with the Islamic people as a whole. 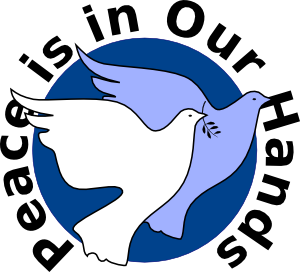 My first experience with Nonviolent Alternatives was an Inter Faith Dialog that was organized at the Brookings United Church of Christ. The Inter Faith Dialog discussion was an interaction between local Brookings people that have different religious traditions. 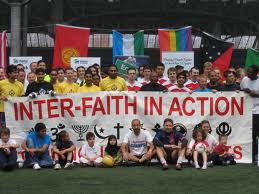 It was the coming together of understandings amongst mainly local Christians and local Muslims. Among other things, the main conversations were about accusations that all Muslims are terrorists and that the translation of the Koran is up to the translator. Although all people from all parts of the world should be aware of the attack that occurred in the United States on September 11, 2001, as well as the heartbreak it caused for the victims’ families, the www.directessays.com/essay_search/racial_profiling.html racial profiling and stereotyping of Islamic people, which is a result of this event, must stop. The attackers of 9/11 were in fact Muslims. However, it does not indicate that since those particular terrorists were Muslim that all Muslims are terrorists. Al Qaeda and Osama Bin Laden are a group of religious radicals who have taken their own interpretation of their religion to an extreme. They are similar to any cult followings we have seen in America over the years. The members of Al Qaeda feel that they are the “true” Muslim believers and the nonmembers of Al Qaeda are not true Muslims. A few contributors to the conversation were active members at the Islamic center in town. They claimed that Al Qaeda is a group of the misguided who have disrupted the spirit of Islam, troubled the Muslim norms, created chaos in the world, disturbed peace, and above all marginalized the words and messages of the Koran. It was also said that they strongly disagree with Al Qaeda and that the people of Islam did not know of their decision to cause terror until after the event. The lesson that I took with me after attending the Inter Faith Dialog is it’s always a mistake to use the pious name of God for violence, wars, blood-shedding and massacring people for the sake of supremacy over others. Two events in two nights inspired me. 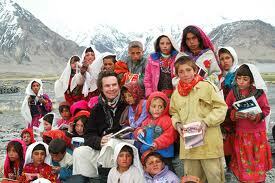 The first was a visit to our community of Greg Mortenson. If you haven't heard of him yet, he's the author of "Three Cups of Tea: One Man's Mission to Promote Peace ... One School at a Time;" and of "Stones into Schools: Promoting Peace with Books not Bombs, in Afghanistan and Pakistan." He's the founder of the Central Asia Institute (www.ikat.org). Greg spoke to a crowd of 5,000 people on the campus of South Dakota State University. He brought the war in Afghanistan home in stark terms. Since it costs the U.S. $1 million to keep one U.S. soldier in Afghanistan for one year, he suggested we bring 240 of the thousands there home. If we did, we would have $240 million, the same amount of money Pakistan needs to cover all University education, country wide. After all, it is education that defeats terrorism. Bombs only create more terrorists. I find Greg and the work of the Institute inspiring because it is the most clearly articulated and demonstrated nonviolent alternative to the waste of war in that region of the world. None of his 150 schools, most of them specifically for girls, have been destroyed. The Taliban must respect them, since building materials are only supplied with the visible support and labor of elders and village people. One can only image what a foreign policy based on building, not bombing, might accomplish. It might dry up the sea in which terror swims. 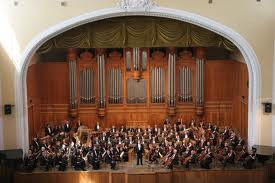 If this wasn't enough inspiration for one week, the very next night we were treated to the Moscow Symphony Orchestra. How little Brookings, South Dakota, ended up as one of the few cities on their national tour is unknown to me. But they played to a full and enthusiastic house. They were a joy to watch as well as to hear. They received standing ovations after each piece and the appreciative audience was treated to three encores at the end of the regular performance. I couldn't help but think back to an earlier time, when South Dakota was the home of the minuteman missile system. Ranged across the Western plains were one hundred fifty nuclear missiles, each with a one megaton nuclear warhead. They were pointed at the Soviet Union, perhaps at the home of some member of the orchestra. Fortunately, because of the hard work of peace people, the eventual wisdom of decision makers, and perhaps the grace of a merciful God, the policy of MAD (mutual assured destruction) was ended and mutual reductions ensued. One can only hope a new group of cold warriors don't decide to take us down that road again. As I sat listening to the orchestra, I marveled at the ability of music to cross those barriers of language, culture, nationality, politics, ethnicity, etc. It's a great equalizer. The harmony implicit in music exposes and releases the harmony in being human, together. It was inspiring! When my children were young, I used to feel the tension between public and private life most pointedly when after supper it was time to go out for yet another evening meeting or program. 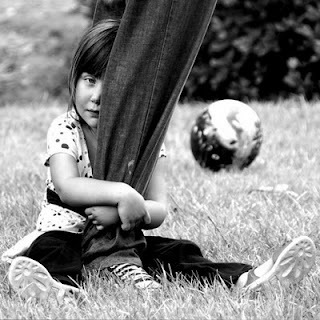 I vividly remember one time when my oldest daughter wrapped herself around my legs at the door crying for me not to go out. These were moments that tore me apart and made me wonder what in the world I was doing, what was wrong with my priorities and was there anything to do about it. I tried to console myself by thinking about all that I did do with the kids and the time we did spend together. I was left in those moments, however, wondering at the perception that my children had of their father and that those I was meeting with had of their rabbi. In truth, while the relationship between home and community and public and private expressions of self can be fraught with challenge, experiencing the tension as challenge is itself the start of wresting toward a healthy balance. Danger begins when there is no experience of such tension, when a person can dwell in two separate realities without thought to a consistent expression of self and character, when there is a disconnect between public and private perception and behavior. It is the all too familiar tragedy of great leaders who are heroes among the people and failures at home. I find this tension expressed in the Torah portion called Vayera (Gen. 18-22), as the unstated obverse of critically important moral teaching drawn from two words in the portion. A thematically packed Torah portion, it is in Vayera that Abraham draws near to challenge God on behalf of the people of the violent cities of Sodom and Gomorrah. As Abraham begins his dramatic challenge to the Judge of all the earth whom he fears is not doing justly, he asks, perhaps there are fifty righteous within the city. Will you indeed destroy them and not forgive the place for the sake of the fifty righteous? Abraham persists, pleading for the sake of the righteous, in ever diminishing number, by whose merit he hopes the cities will be spared, until he stops at ten. Then we are told very simply, and Abraham returned to his place. The ensuing silence throbs with the obvious question, why did Abraham stop at ten? Was there not even one righteous person? As the rabbis wrestle with the question, just as we are meant to, so they answered it, their own struggle with God’s justice hanging on the words within the city. There may indeed have been people who were decent and righteous within their own homes, but who never raised their voices publicly against the violence and cruelty surrounding them. Sadness rising from the page, of these who were decent people at home, the rabbis said, not one of them protested. The righteous person for Abraham, explains Rabbi Samson Raphael Hirsch (nineteenth century Germany), “is to be found within the city and in lively connection with everything and everybody. He never leaves off admonishing, teaching, warning, bettering wherever and however he can. He takes everybody and everything to heart, he never despairs, is never tired of trying, however distant the hopes of success may be.” At whatever cost to her or his own life, the truly righteous person stands up in the public square for what is good and just. This is a teaching that has inspired me and given me strength throughout my life. There is no question of the moral power of the still small voice that thunders against apathy and avoidance. It is the challenge so bravely met by righteous gentiles who saved Jews during the Holocaust. It is our challenge. Precisely in the majesty of Abraham’s challenge and in the moral greatness of those who rise to meet it is the challenge of its obverse; it is not enough to be righteous within the city, but no less are we called to be equally righteous within our own homes, within the house. In this very same Torah portion, from the very same people, we witness the tragedy of that moral disconnect between the public and private spheres of one’s life. For all of the moral courage and grandeur of Abraham’s plea on behalf of the violent people of Sodom and Gomorrah, he does not say a word on behalf of his own son when God tests his willingness to speak for his own. Such is one strand of classical response to the binding of Isaac. His righteousness tested at home, on behalf of his own, and Abraham fails miserably. And so too, Abraham’s nephew Lot, in order to protect strangers who have taken refuge under his roof, is willing to sacrifice his own daughters to the violence of the mob. In the extreme disconnect presented in these chapters of Genesis, between behavior both public and private, is the wholeness of the teaching. The way of the truly righteous is of one path on either side of the threshold, whether “within the city” or “within the house." To the degree that we hear the cry of the child wrapped around our legs, so may we hear the cry of all children and, counted among the righteous, create together a world of wholeness both near and far. Living nonviolence is a lot to ask of yourself when we are confronted by violence everyday in so many, many ways. In the course of a single day we hear those around us speak and act violently. We see news of violence in our communities, nation and the world. Even our entertainment is violent, whether it is television, movies or even sports. While no form of violence is easy to cope with, the closer the violence is to your daily life the easier it gets to understand and address its causes. If your four-year-old insists that hitting is the best way to get your attention, you understand it. If your college kid comes home using all of the cuss words picked up throughout the semester, you understand it. If burglars ransacked your neighbor’s garage for things to pawn in order to buy more drugs, you understand it. 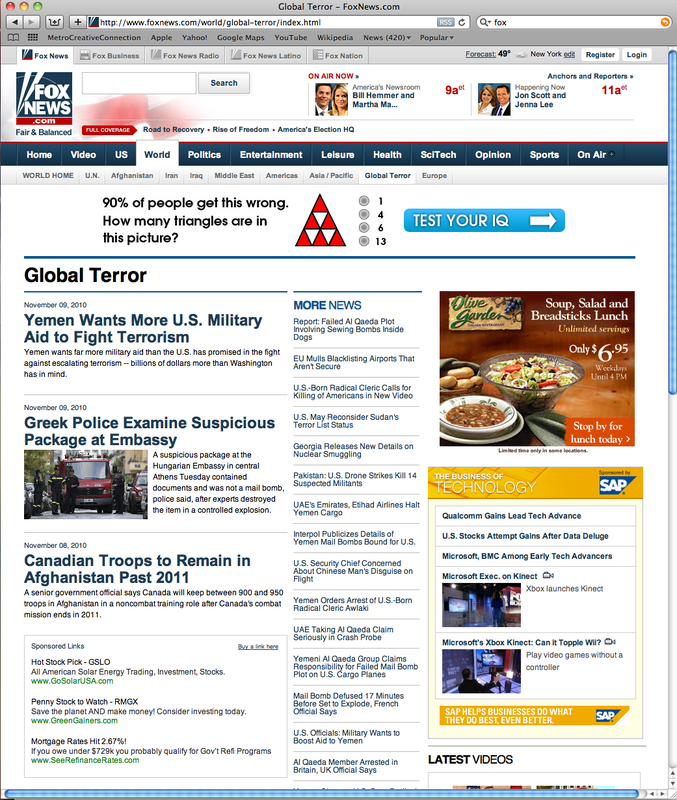 When viewing the news, what do we really understand? Televised news constitutes snapshots of large events. It is a series of one-hit wonders. The broadcast intends to give only a result, not the background or the finer implications of the event. In short, viewers see the violence in black-and-white, “bad guys” and “good guys.” There is no grayscale, no context. Looking especially at the violent upheavals of society in cultures we know little about, can we even begin to empathize? I believe so. To truly understand current events, we may need to research on our own. Hit the books, talk to all different kinds of people and ask questions. The point is that it can be done. The cause of this war is typically declared as nationalism. Some nations came away from World War I with very hurt egos and a feeling of inadequacy on an international level, along with a need to re-establish themselves on that front. However, some argue oppression as another consideration in the cause of that war, at least on the German front. Germany was banned from having a standing army after WWI and required to pay gross sums of money to help rebuild Europe. The country’s economy was non-existent. People were suffering, starving, unable to support themselves or their family and dying. They needed a national identity and a way to escape the oppressive punitive demands on the country. Hitler knew how to unite the Germans and how to escape the oppression. Granted, he mixed a strong racism into his actions and did many unspeakable things. Nevertheless, we can empathize with the German people, understanding why they reacted to Hitler the way they did. Once these motives are understood, then we can begin to change things. Following the Sept. 11 attacks, America rushed to retaliate. I argue that taking the time to consider our attacker’s motives, our reactions could have been tailored to better address the problems creating a will to attack America, instead of the symptoms. The ability to empathize allows for us to act peacefully and exemplary. We cannot travel back in time to help the Germans, nor can we retrace our steps in Iraq, but we can be proactive. I am young and still have much to learn about the world, but I believe everybody has a story to tell. It is time to start listening, learning and understanding. As I sat in my kitchen enjoying the beginning of the November sunlight, I kept having to deal with the inner nagging to do something with the last of the harvest from Whippoorwill Farm, our community supported agriculture venture. I have to admit, I have run out of ideas for what to do with yet one more batch of kale, one more set of twins of the butternut squash variety, one more mountain of beets. The harvest has been bountiful this year and I am at the point of resenting the accumulation of steaming, peeling, chopping, freezing and pickling still waiting to be done. Alongside the inner nagging and the feelings of resentment comes the whisper of new Hebrew words in my vocabulary - - hakarat hatov-- recognize the good. The whisper lays down the challenge. I need to regroup – recover – rethink. I look at the pile of beets waiting on the kitchen table. Long roots tangled with each other. Layers of mud from newly moistened fields – a real mess. Hakarat hatov. Recognize the good. In the run-up to the mid-term elections, recognizing the good has gone missing. Kevin Cullen, in the Boston Globe summed it up this way: I don’t know about you, but this election cycle has been more depressing than any I can remember. Depressing in that so many dollars have been spent on advertising that creates the impression that everybody running for office is a lunatic or a criminal or both. In the presence of so much unpleasant, negative, and destructive political discourse, it is all too easy to lose sight of the good. In the process, something violent is done to the soul of the voting public. I have heard too many people question the value of voting at all when the rhetoric is so poisonous. I even find myself wondering at times. And then the wisdom of the sages whispers hakarat hatov – recognize the good. The large majority of people running for office are not criminals or lunatics, huge advertising budgets to the contrary notwithstanding. Hakarat hatov – change my lenses – recognize the good. 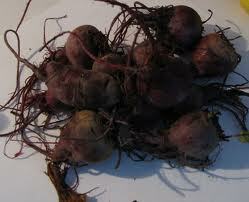 A huge pile of muddy beets, roots entangled, greens withered - - not an altogether appealing sight. There is messiness here. Dirt, juice that stains everything it touches, roots to be trimmed and discarded, greens to be either salvaged or composted. Hakarat hatov! A little energy begins to stir. I can do this. 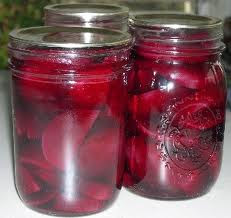 I can deal with one more mound of beets if I recognize the good - -the pungent, earthiness, fresh from the soil; the astounding red that emerges once they are boiled and peeled; the sharp fragrance of vinegar and onions and cloves and pepper; the unspeakable beauty of sunlight filtering through the ruby spaces in the sealed jars on the kitchen counter. Today the beets are a metaphor that helps me see a little more clearly how to bring my pen to the ballot in the face of so much negative campaigning. Recognize the good. 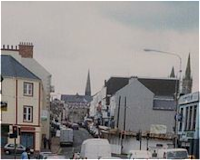 On Saturday, August 15, 1998, a terrorist car bomb ripped through bustling Market Street in the Irish town of Omagh (see pre-bombing photo, left). 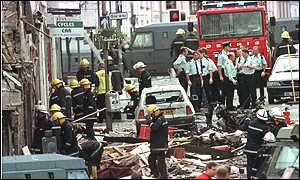 An apparent attempt by members of the Real Irish Republican Army (RIRA) to sabotage the fragile peace process after the historic signing of the Belfast Agreement thirteen weeks earlier, the bombing was described by the BBC as "Northern Ireland's worst single terrorist atrocity". Twenty-nine people died. Around 220 were injured. Among the victims were both Protestants and Catholics, as well as a Mormon, nine children, a woman pregnant with twins, and a number of tourists. 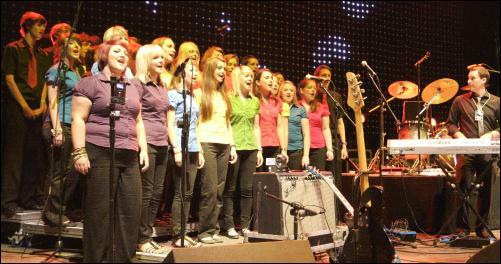 Daryl Simpson, having just graduated in piano and voice from Queen's University in Belfast, responded to the Omagh tragedy by founding The Omagh Community Youth Choir. 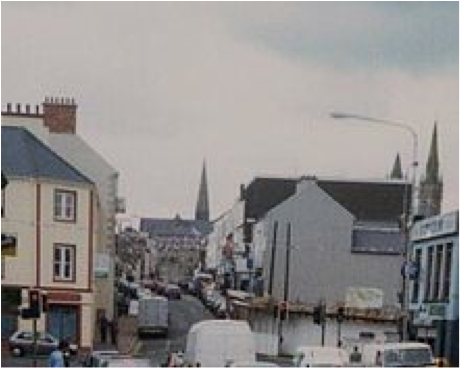 He brought together young people from various backgrounds and religious traditions in Omagh to sing together, to exemplify a community working together for peace, and to provide some comfort to a town suffering deeply from "the Troubles". Established in October, 1998, just two short months after the bombing, the choir has since toured all over Ireland and the world at large to popular and critical acclaim. In this video The Omagh Community Youth Choir performs "Lo ve Rescue Me" (composed by Bono and Bob Dylan). You'll also hear Daryl Simpson describing his vision for the choir as well as the role music can play in comforting, inspiring and healing a society. I've included the lyrics of the song below for your convenience as well as your reflection.